Welcome to Long Bay, Australia’s hardest prison.Opened in 1909 Long Bay Jail, originally a women’s reformatory, has a dark and extraordinary history. From ghosts to legendary prisoners, there has been an infamous collection of Long Bay ‘guests’, including the formidable Neddy Smith, convicted rapists the Skaf brothers and shamed entrepreneur Rene Rivkin. Former inmates Rodney Adler, Graham ‘Abo’ Henry, Tom Domican, John Elias and others tell all about the brutal reality of life behind bars. And ‘Mr Big’ Ian Hall Saxon finally comes clean about his prison escape, which baffled the nation. 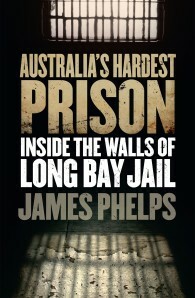 Delve into the personal accounts of the prison guards, Long Bay’s unsung heroes, as they open up about their experiences dealing with some of the most dangerous men in the country.